The federal government's website portal for PPACA (ObamaCare) has not worked very well. The federal government has not released information about how many people have been able to successfully sign up for health insurance via the federal exchange, only that millions of people have visited and that demand remains high. Well, yes I guess demand would be high once you pass a law stating that people must buy a product. Although the rollout has so far not been very complimentary to the technical skill set or managerial know how of the people involved in overseeing the launch, I believe that over time, things will be fixed. I work in IT and have been a team lead, programmer, project manager and business analyst -- sometimes all in the same job. I've worked on projects that have proceeded quite smoothly from the first glimmer in some vice-president's mind to a low level underpaid coder (often me) migrating code to production. I've also worked on projects that were poorly designed, insufficiently tested, lacked buy-in from appropriate stakeholders, had unrealistic launch dates, lacked proper funding, had the wrong personnel, or attempted to solve problems that either didn't exist or could be fixed more cheaply and much more simply in other ways. It's a RARE large project that meets all its target dates and deliverables and comes in on time, under budget and with no post-launch fixes. As project complexity, scope and size increase the chances of perfection or even anything close to perfection (eg. Six Sigma) decline dramatically. I have never worked on anything approaching ObamaCare's size or scope. I have worked on legally required projects which did have (within the business world) massive national scrutiny and visibility. The general rule on any project is that EVERYONE must keep their team and their supervisor aware of issues that could impact the launch date or launch deliverables. The Company CEO may not care if you have to stay overtime for 20-30 hours over the next month to rewrite and test programs that downstream feeders use. That's your problem not his. 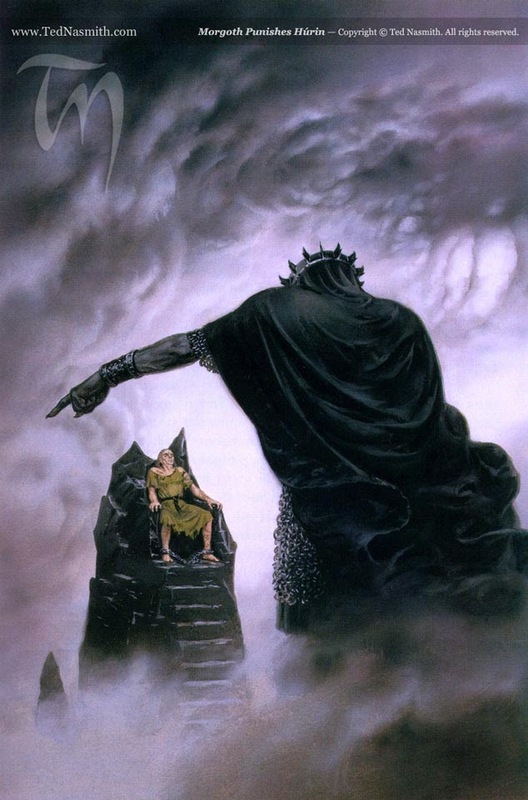 But if you discover that not only will you need to rewrite programs but also that several databases will have to change, the project design is flawed, the chosen middleware has significant issues, the testers don't know how to test, the system lacks required data and it's impossible to meet several legal requirements by the current launch date, that's something that management at the HIGHEST level should know. God help you if you knew something like that and didn't run and tell. You don't want to see your name in the paper as the reason the stock price took a nosedive. If the Company can't do something required by federal law or the IRS, the CEO and Chairman should know ASAP. That's why I was shocked to learn that according to HHS Secretary Kathleen Sebelius no one told the President that the launch wasn't going to work. She's somewhat coy about whether she knew and didn't tell. Before it even launched, red flags went up about the Obamacare website. Health insurance companies complained about it, and the site crashed during a test run. But nobody told the President of any of it, the nation's health chief told CNN. Kathleen Sebelius said President Barack Obama didn't hear that there may be problems with the sign-up portal for his signature health care law until it went live on October 1. That's when the site nosedived into a technical abyss. It's not like no one saw this coming. When the website crashed during a test run, just a few hundred users were on it. But the Obama administration went ahead with the launch. Waiting was not an option, Sebelius said. A Senate GOP leadership aide called the situation "odd." "Everyone was surprised by her statement that the President was unaware of the website's failures until a few days into it," the aide told CNN. "They had been claiming that the Obamacare rollout was his top priority and that he was receiving regular updates, which was inaccurate. And he gave remarks on October 1 about how great it was and that people should go sign up," the aide said. "Assuming that he didn't know that the website didn't work, why did they let him make that speech when they knew it had crashed in testing? Did really no one recommend a delay to the President? It just seems odd." Before the website's launch, Republicans made targeting the program a centerpiece of their agenda. Many insisted they wouldn't vote to fund the entire government unless Obamacare was defunded or delayed. They said that the website's woes show that the Obama administration and the federal government generally aren't capable of executing what the GOP says was an ill-advised program from the get-go. Generally speaking the powers that be don't like hearing bad news. You certainly don't rise in any organization, public or private, by constantly telling your supervisors about failure, especially if the failure is yours. Some of the people I've worked with and for have made it quite clear that they want good news from their reports. But the smarter leaders value accurate news over good news. Whether you're in IT or not, you're in a job because someone thought that you could help the organization solve problems and/or make money. If a leadership team is proceeding on inaccurate information it can't solve problems. It is embarrassing to have to delay a launch or kill it completely because of issues. But it's worse (IMO) to turn in substandard work that doesn't meet specs and indeed worsens the problems that would be addressed by successful launch instead of resolving them. You do that and you see exactly what you see now-a lot of blamestorming, desperation moves, attempts at spin, and knee jerk reactions to criticism. If the people at the top aren't careful this can add weight to rivals' claims that there ought to be a management change, or failing that a scaling back of authority, scope and responsibility. My mantra at work is "Let's get it right. Let's tell the truth." It strains credulity to believe that the President did not know that the primary interface of his signature program would not work properly. 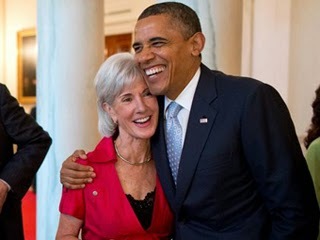 What the heck was Sebelius talking about in Cabinet meetings? "Yes sir Mr. President, everything is going just fine with PPACA implementation. Yes sir! You have nothing to worry about. We're doing just fine. You don't need to be concerned about the PPACA." Someone, whether it was the President, the HHS Secretary or the tech leaders overseeing the launch, made the decision to roll the dice and see what happens. And here we are. In my work if some vice-president left the CEO/Chairman hanging out there like that they'd be fired. You might as well tell the truth because there's not much room for deceit in IT. Either the process works and does what it's supposed to do for an acceptable percentage of time or it does not. Of course a good boss often takes the hit for mistakes his employees make while good employees often cover for mistakes their boss makes. That's life. I have to believe that that is what's happening here. Do you believe that President Obama did not know of website problems? 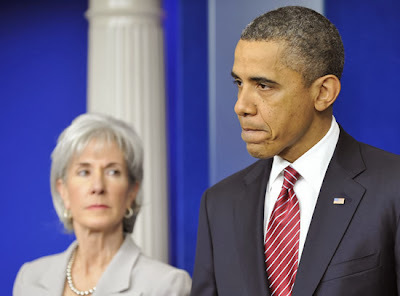 Should Secretary Sebelius be fired? How long do you think it will take to get website and related code fixed? If you have a boss, do you keep him or her in the loop on major issues?